Israel must be prepared for any scenario, say leaders who spoke at the graduation ceremony of the IAF's flight course. The graduation ceremony of the IAF's 166th flight course took place on Thursday, and leaders who spoke at the ceremony mentioned the tense situation along Israel’s northern borders, saying that the IDF is ready for any scenario and reminding Israel's enemies that the army has acted and will act in the face of security threats. Particularly blunt was IDF Chief of Staff Benny Gantz who, in a rare statement about the situation in the north said, “Syria is still bleeding, and in Lebanon, the flames are creeping up on [Hizbullah chief] Nasrallah. In the face of this changing reality we need to be ready and more prepared than ever." 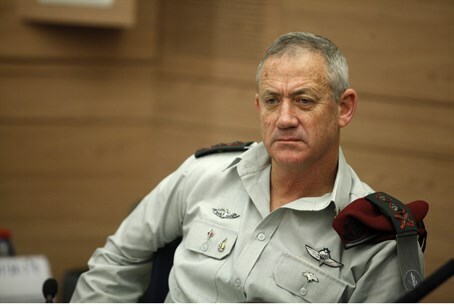 Gantz’s remarks come in the wake of an Israeli assessment that the Hizbullah terror group is at one of its lowest points in years. The organization is now fighting on three fronts: against Israel, in Syria, and in Lebanon, where the group has been slammed for its support of President Bashar Al-Assad. The prime minister added, "We have defensive capabilities and offensive capabilities and we know to how to combine them. The future of the Jews depends on the Jewish State, and the future of the Jewish State depends primarily on its army and security forces."